Uh ohhh... someone touched a nerve. ZAYN takes to Twitter to defend his new album and its sound. 4. Uh ohhh... someone touched a nerve. 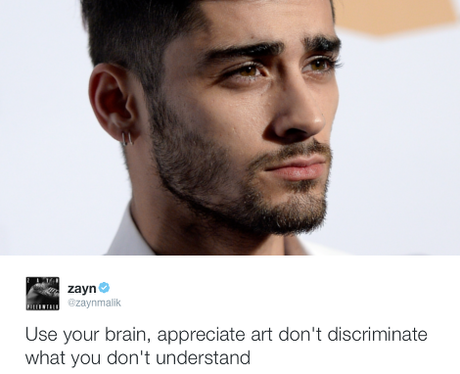 ZAYN takes to Twitter to defend his new album and its sound. We mean, the album hasn't even been released yet - how are people criticising it?! We for one are BEYOND excited to hear the new beats from Mr.Malik... and we hope the videos have more appearances from Gigi.